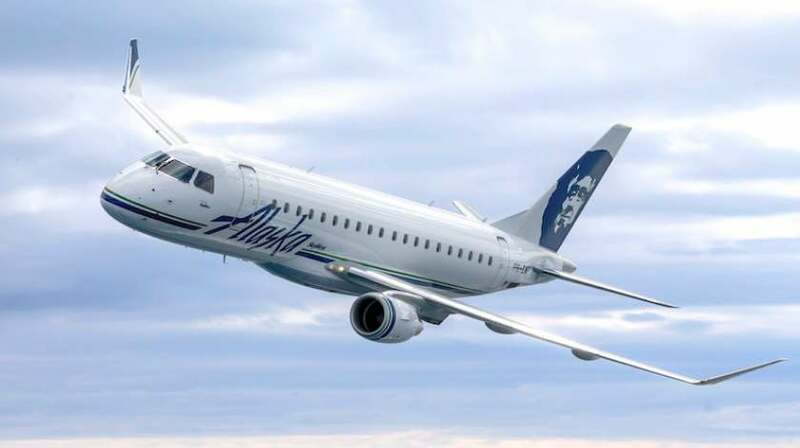 Horizon Air announced it will grow its fleet with the purchase of 30 new three-class Embraer E175 jets, which will fly exclusively for Alaska Airlines. The order, which also includes 33 options, will be delivered over three years starting next year, and is valued at $2.8 billion at Embraer’s current list price and represents the largest order since the airline was founded in 1981. The jets will supplement the Portland-based carrier’s fleet of Bombardier Q400 turboprops. Embraer’s E175 will allow the carrier to fly ‘long, thin routes’ – destinations that are too distant for a turboprop, but currently don’t have enough customer demand to fill a mainline jet. The E175 offers a comfortable cabin that boasts large overhead bins, ample cargo capacity and a forward and rear lavatory. Horizon plans to begin flying the jets exclusively for Alaska Airlines under a capacity purchase agreement (CPA) beginning in Spring 2017 on select longer routes originating from the Pacific Northwest. Over time, the jets will replace 15 of the airline’s leased Q400s, due for return in 2018.